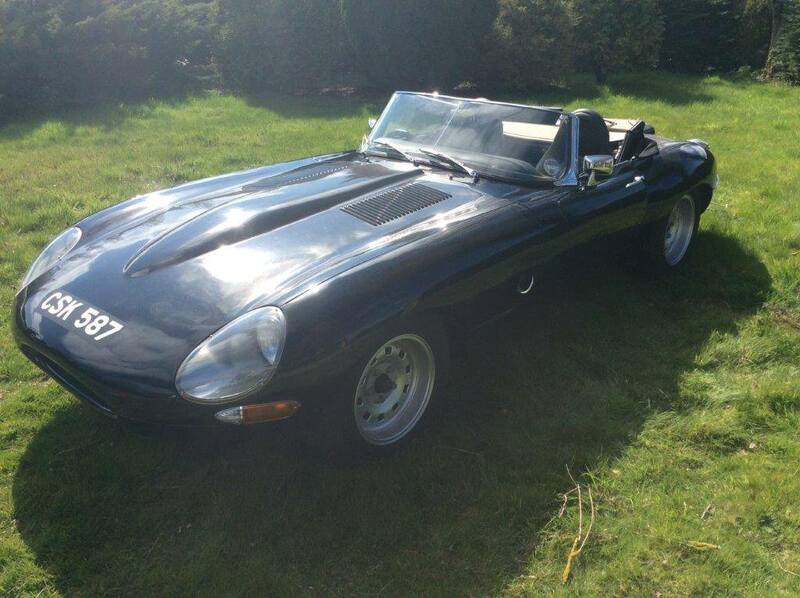 The Jaguar E-Type was launched in May 1961 as a replacement for the Jaguar XK150. 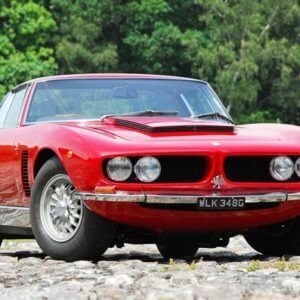 Designed by Malcolm Sayer, it was an instant success with even the great Enzo Ferrari stating it was “the most beautiful car ever made”. The new Jaguar Series 1 E-type had a 3.8ltr straight six engine which was fed by triple SU carbs and was mated to a four speed manual gearbox. With 265BHP on tap, the E-Type was a potent sports car and had excellent handling to match thanks to its fully independent suspension and servo-assisted disc brakes. The Series 1 cars were noted for having flat floors in their early production run. While these proved unpopular at the time due to the lack of leg room, early flat floor E-Types are now a highly sought after due to their rarity. Alongside the production of the coupe and roadster models, Jaguar experimented with twelve lightweight E-Types for racing in 1963. Upgrades included an all aluminium body with improved aerodynamics which significantly reduced drag and weight over the steel bodied coupes. Coupled with an aluminium straight six and Lucas fuel injection, the lightweights, also known as the “Low Drag” E-Types proved very potent indeed and were a match for the Ferrari 250 GTO. Production of the Jaguar E-Type Series 1 lasted until 1968 and was replaced by the Series 2. 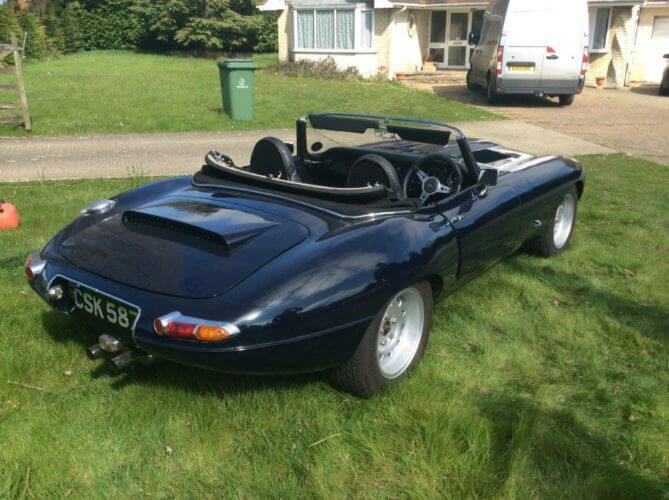 ACA Auctions are offering for sale on 13th June 2015 a 1962 Jaguar E-Type Series 1 Lightweight recreation. The creation of David Coleman, founder of Jagspares International, it was constructed over a five year period and apparently would cost in excess of £200,000 to replicate. This gives an indication of the level of detail that has gone into the build. 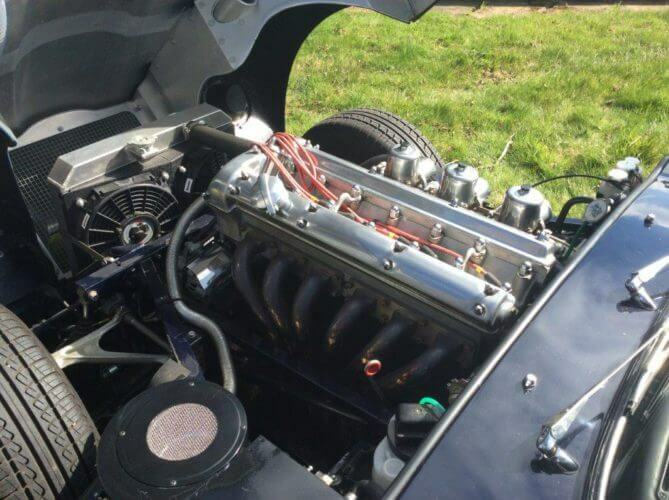 The car itself is said to have been a rust free American import which formed the basis of the new build. The original bulkhead was retained and a new roadster body jig was constructed. New panels were used with additional metal added for strengthening. Taking inspiration from the original Lightweight E-Types, new aluminium doors, boot and bonnet were fabricated and the body work finished in Jaguar Dark Blue. Listing just a few of the engine upgrades, the 3.8 litre straight six underwent a significant overhaul and received AE high compression pistons, alloy flywheel with an AP clutch, 4.2ltr big valve ported head and Bill Terry road/race cams. The fully balanced engine was mated to a Getrag 5-speed gearbox and included a balanced prop and a S3 Lucas electronic ignition. Braking was also upgraded with a rebuilt and stainless steel lined brake master cylinder with reconditioned 4 pot front and rear calipers and EBC vented front/rear discs. 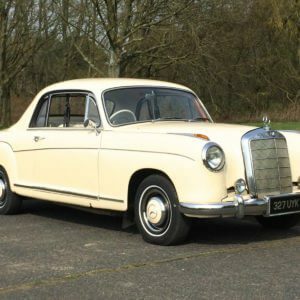 Both front and rear suspensions were rebuilt with the front receiving a Bill Terry anti-roll bar and torsion bars, ‘Watsons’ alloy steering arms and top mounts and reconditioned steering column. Replica D-Type/E-Type alloys were added to complete the Lightweight look and are shod with Pirelli tyres. The listing also states that the interior of this Jaguar E-Type Series 1 Lightweight has had new carpets and trim panels along with a Mohair hood. It also states that the seats are a close comparison to the originals but have built in headrests for added safety. The photos don't really do this car justice at all. It really warrants a close inspection. 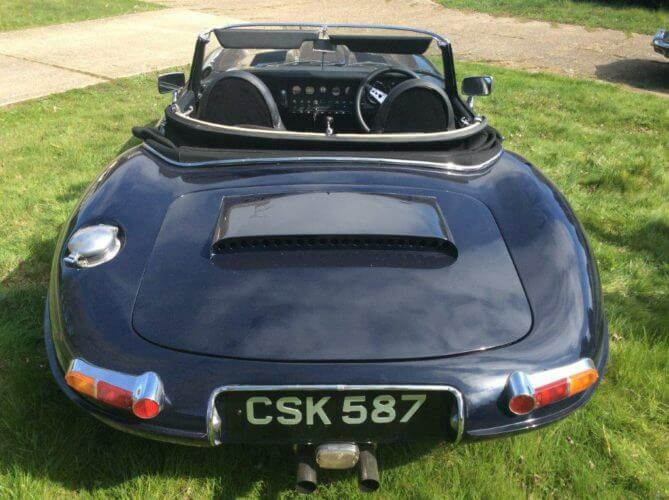 D-Type and E-Type race alloys always transform the look of a standard E-Type. The upgrades have given this Series 1 a more agressive look with the need for larger flared wheel arches. The recreated boot based on the Low Drag design. We like the larger fuel filler cap as well. 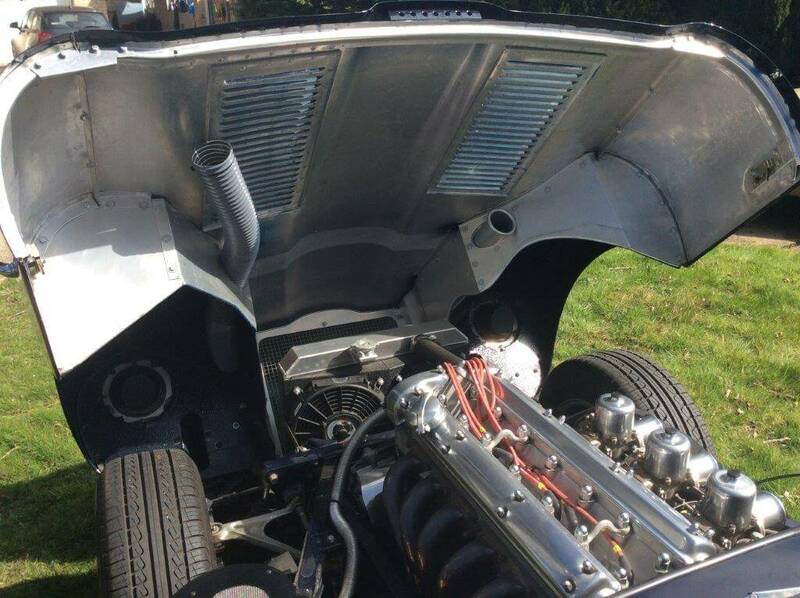 The shots of the engine bay aren't the best but it looks sorted. Nice to see the aluminium craftsmanship on show. It is pretty clear from the listing that this Jaguar E-Type Series 1 Lightweight has been the subject of an extensive and very detailed build and it would be interesting to see how it compares to an Eagle E-Type build. It’s the kind of build where there is almost too much to list, so much so that even we omitted mentioning some of the mechanical upgrades. What we like about this Lightweight recreation is the fact that it is a convertible. All the Low Drag E-Types were special built coupes and pretty much all recreations try to pay homage to that design. We’ve never seen a convertible Lightweight recreation attempt before and we are quite impressed with David Coleman’s vision here. 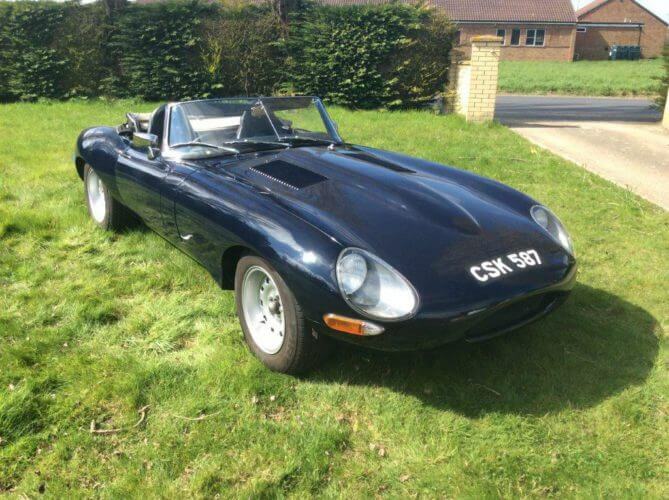 This E-Type offers what could well be the perfect balance between a fast road car and a somewhat mild race/track car (it does lack a roll cage for more serious racing). We say “somewhat mild” when really we expect this Series 1 to pack quite a punch and we’d love to see how much power it is putting out. We have to say that mixing some of the best ingredients of a Low Drag with a convertible is a brilliant idea and we are surprised it hasn’t been done before. Though the estimated £200,000 bill would probably put most people off. With an auction estimate of between £80,000 – £100,000 it will be interesting to see how much this Jaguar E-Type Series 1 Lightweight recreation goes for .